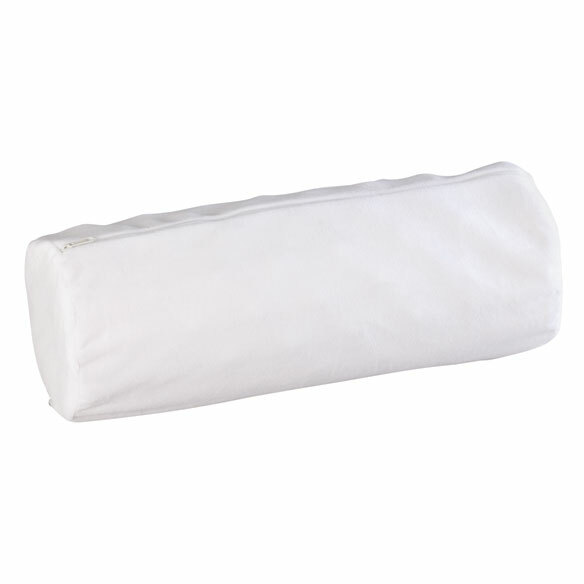 Memory foam round roll pillow is shaped just right for therapeutic support and comfort. 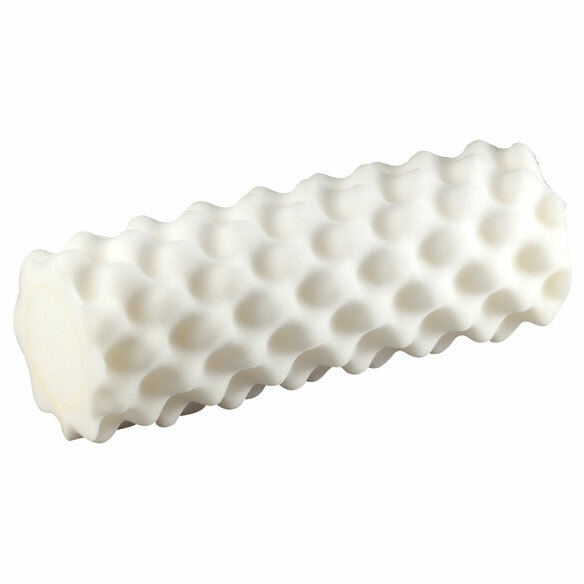 Dense foam roll with firm convoluted exterior is ideal for cervical support, cradling your neck, helping to relax muscles, and reducing pain and pressure. Round pillow is ideal for tucking behind your back, under your legs or anywhere you need extra support. Removable velvet pillow cover is soft against skin and machine washable. 16" L x 5 1/2" dia. I was looking for a pillow like that of my massage therapist. I hope this is it.